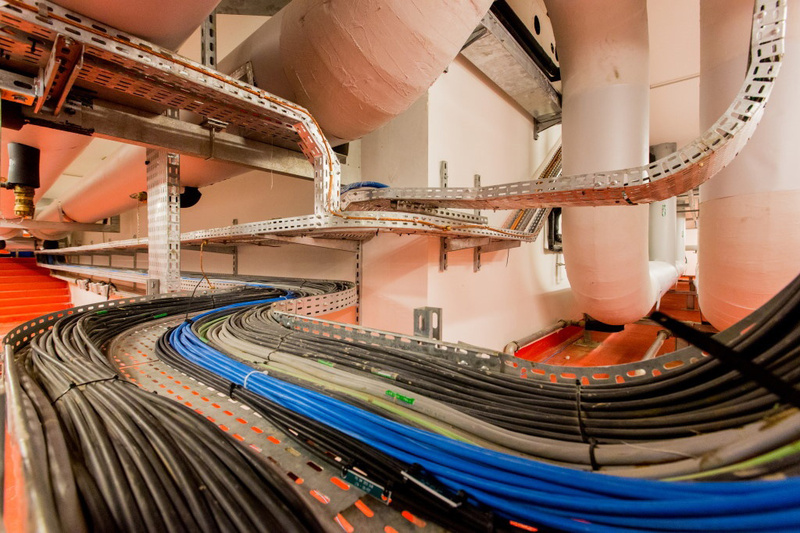 TeaM Cables – European Tools and Methodologies for an efficient ageing management of nuclear power plant Cables – is a research project in the field of nuclear safety and long-term operation. Launched in September 2017, the project has received a funding of 4.2 million Euro from the Horizon 2020 Euratom Research and Training Programme 2014-2018 of the European Union. It is set to run for a period of 54 months and is coordinated by Electricité de France (EDF). The leaflet summing the activities of the TeaM Cables project can be dowloaded from the Media Centre. The lifetime of existing Nuclear Power Plants (NPPs) can potentially be extended to between 60 and 80 years if safety and operability of facilities can be guaranteed. This means that all equipment must keep satisfactory characteristics in regards to those specified in the plant design time, with respect to normal operation but also during design basis accidents and design extension conditions respectively. This requires efforts in terms of equipment qualification and ageing management to support stakeholders and decision makers. If the components of an NPP were considered as the organs of a body, the electrical cables would be its nerves and blood vessels. These electric cables are diverse with different designs and different materials depending on the voltage, the functionality and the polymer industry evolution over time. With an average of 25 000 cables for a total length of 1 500 km per NPP unit (an NPP containing several units), all organisations involved in the current and next generation of NPPs have recognised the importance of cable qualification, condition monitoring, and ageing management. TeaM Cables will tackle the challenges mentioned above through an innovative multiscale modelling approach which will increase the accuracy and performance of nuclear cable lifetime management and thus contribute to a safe long-term operation of existing NPPs and to the production of sustainable energy responding to future energy needs.